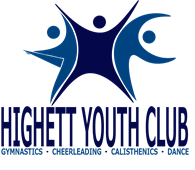 Welcome to Highett Youth Club Inc! Please provide you information below and click Submit when complete. Bank/Credit cards are NOT charged at this time. All enrolments are considered pending until we have reviewed your registration and invoiced any fees due. Applicable discounts will be applied at this time. The Club membership and sport affiliation fee (GC, AASCF and CVI) are charged annually and ARE DUE IN THEIR ENTIRETY UPON ENROLMENT regardless of how long a student stays at the club. Your spot is secured on receipt of this payment and the provision of direct debit details. Those joining in term 4 are charged at a reduced rate. All term fees are Direct Debit in 2019 via our management system. Direct Debit facility upon enrolment are either by Credit Card and/or Bank Account details which must be provided in order for enrolment to be confirmed. 1. For students commencing classes at the beginning of 2019, class fees will be billed on the 11th January 2019 and direct debited from your account on the 25th January 2019. 2. For students enrolling from the 12th of January 2019 to the 25th of January 2019, HYC membership and sports affiliation fees will be billed and direct debited immediately. Class fees will be directed debited on the 25th January 2019. 3. For student enrolling from the 26th January 2019, HYC membership, sports affiliation fees as well as class fees will be billed immediately. All fees will be debited within 7 days. Adult Gym Classes are payable on a casual basis. Contact the office to organise billing and payment. Recreational classes will be billed on a per term basis. Competition Classes, eg. Gymstar, will be billed over 10 months in equal amounts starting in January 2019. It is the responsibility of each parent to notify the office if an account is not received prior to the end of each term. Term fees can and will be corrected in good faith should an error occur in billing, as soon as practical after the error is detected. In instances of prolonged absences (family holidays, school trips etc. ), full fees must be paid in order to retain your place in a class. Direct Debit from bank accounts incurs a fee of $.88c per recurring transaction. Direct Debit from Credit cards accounts incurs a fee of $.66 per transaction attempt plus 2.2% calculated on transaction value. Dishonour fees of $5.50 will be passed onto your account, in the event the direct debit is unsuccessful. SHOULD YOU WISH TO DISCUSS FEES PAYMENT, PLEASE CONTACT THE CENTRE MANAGER. The Club offers a family discount (10%) to 2nd and subsequent child's class fee component, and a concessional discount (15%). However if a family qualifies for both discounts only the higher will apply. Please Note: This excludes those participating in casual classes. If outstanding fees are not paid the club reserves the right to refuse training privileges. Overdue fees will attract an overdue fee (10% of total amount outstanding). Accounts that remain unpaid after 21 days of falling due will be passed to collection agents for action. There are no make up sessions, nor fee discount, for missed sessions available for any of our students, in any sport. In gymnastics, make up classes are not available due to timetabling in the gym. Cheerleading and Calisthenics - as these sports are team sports and students learn as part of their team, rather than individually, make-up sessions are not possible. From time to time scheduled Kindergym classes may need to relocate within the HYC centre. Classes will remain of a high standard covering the Kindergym curriculum. Notification will be communicated in advance when/if a vacancy will occur. Normal Tuition fees will apply if you wish to retain the students class position in the case of injury, sickness or for any other reason. You may elect to instead to have the gymnast removed from the class and we offer you the opportunity to be priority wait-listed should a vacancy arise. We cannot indicate when a vacancy may become available. Absences of 2 weeks or greater, within a term, with provision of a medical certificate: Where injury occurs at HYC, you may apply to the Centre Manager for a non-refundable, non-transferable credit to your gymnastics fees account for those lessons missed, with the provision of a medical certificate covering all the relevant dates. No cash refund applies in the event that at a later decision is made not to continue with gymnastics. Normal tuition fees apply if classes are missed due to injury, sickness or for any other reason. Where an injury affects a Calisthenics student's ability to participate in team activities, the coach will work with the student, guardian and medical professional to enable the student to continue to participate within their capacity. Normal tuition fees apply if classes are missed due to injury, sickness or for any other reason. Where an injury occurs at HYC, and the absence is 2 weeks or greater, with provision of a medical certificate the cheerleader may apply to the Centre Manager to be eligible to receive a non-refundable, non-transferrable credit to their Cheerleading account for those lessons missed, with the provision of a medical certificate covering all relevant dates. No cash refund applies in the event that a later decision is made not to continue with cheer. Where you do not wish to continue with classes at HYC, Discontinuing Forms can be obtained from our website and must be submitted 14 days prior to the end of term or full fees for the following term will be payable. NB. Only written notification of intention to discontinue will be accepted. NO REFUNDS will be given where a student advises they will not be completing the term. Enrolments in these sports are considered an annual commitment, and therefore withdrawing from these classes is strongly discouraged due to the impact of losing a team member. In these circumstances, NO REFUND will be given on monthly fees. Participants are automatically re-enrolled for the following term, except from year to year. All students have to re-enrol from year to year via our on-line portal. Upon agreeing to your participation agreement you acknowledge that participation in any physical activity carries with it a reasonable assumption of risk and you will not hold HYC liable except in the case of gross negligence. You also agree to pay any cost incurred in the case of emergency where medical/ambulance assistance is required. Staff have First Aid qualifications, including CPR, Anaphylaxis and Asthma Management. Every effort is made to avoid injury/harm to participants, however, in the instance where injury/illness occurs and the participant is under the instruction of staff, the staff member will assess the situation and action the most appropriate First Aid or seek further medical assistance. Any decision made will be made in the best interests of the participant, others participating in the program and the staff involved. Any incurred costs will be the responsibility of the participant's "responsible person". We strongly recommend you taking up Ambulance insurance. A TRIAL (come and try) class is offered to all NEW HYC MEMBERS after the commencement of term one, subject to availability in that class. After participating in the class and you wish to proceed, you must contact the HYC office within 5 working days, to confirm your spot in that class. HYC office will then confirm your placement in that class. The trial class will then be billed with any other fees due, an invoice will be forwarded to you advising you when the amount will be debited from your account. If we do not receive confirmation, the place will be offered to the next on the wait list. A trial is not offered to any current members or to prospective members prior to term one commencing. Once it has been determined that there are no available positions in the desired class, you can register to go onto the wait list as per the guidelines below. 1. Any eligible participant wishing to enrol in a class that has reached its authorised capacity can register to go onto the wait-list for their desired class. By selecting the full class you are automatically added to the class wait list. You may register for multiple wait list classes for that particular age group. 2. A participant is wait listed in the order in which she/he attempts to register for the class. 3. When a position becomes available in the class, the office will call the first person listed on the wait-list by date order. The office will contact the person via telephone and/or email to offer the available position in the class. If the person contacted does not respond to the office within three working days, HYC office will assume the person does not want to take up the position offered and will be removed from the wait-list. The office will then proceed to call the next student on the wait-list in date order. a. A participant unable to attend their class due to medical or exceptional circumstances for a period of time and who have forfeited their position in a class through the refund policy will be put on the wait list until their circumstance has changed and they can resume their classes. This participant will take priority when offering a position from the wait list. b. A current, fully paid participant who has requested to swap to a different class. This participant will take priority when offering a position from the wait list. 5. Any participant with outstanding fees will not be allowed to be placed on the wait list. 3. I agree that my/their first name and initial and/or identity may be revealed in descriptive text or commentary in connection with the image(s). 4. I understand that the images (and corresponding raw data and material) remains the property of Highett Youth Club at all times. 5. If I do not wish to have my/my child's image included in the above, I will notify HYC in writing. HYC respects the privacy of its members and will endeavour (in so far it is reasonably practicable) to ensure that images of those who do not provide this consent are not published.